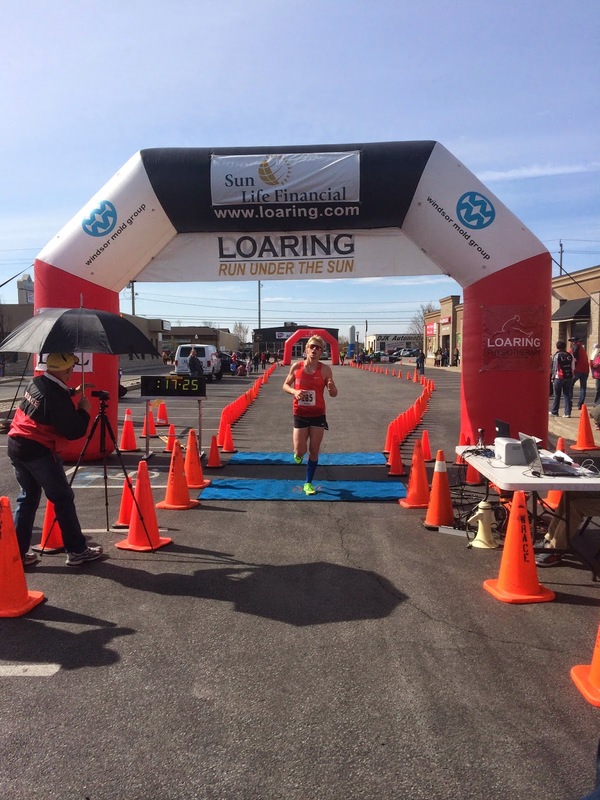 Today we had the pleasure of supporting and being present for the Loaring Run Under the Sun race in Tecumseh, Ontario. Races distances included: 5 km, 10 km and a Kids Dash. Despite a windy day and twisty course there were some fast times: Infinit fuelled athlete Garrick Loewen finished the 5 km in 17:23, Genevieve Yancy was top female at 21:02. On the 10 km side Ryan Allison was quick with a 34:09, Megan Smith ran a 42:28 for top female. Was great to be on course and at the race finish. Tom and I got to meet a lot of great local athletes. For all those who completed the interview/contest registration card we will be sending you a link to a formulation created to match your exact needs, we will pick a winner from this group and provide them their very own custom blend. Great kick off to the season for us. Congratulations to the Loaring Team representing Loaring Physiotherapy and Loaring Performance Coaching - great job today, well organized. Charity funds will be directed to Windsor Regional Hospital Foundation, Windsor/Essex Sports Hall of Fame and the Hurdle Project. You At Your Potential Yet? Nick Is Getting There!! Received this email today from an Ontario rider - this is why we do what we do! As written by Nick, asked him if we could share on the blog, he we as okay with it. You want to say what Nick has? Give us a call and we can go Custom, once you do, there will be no looking back. Big Night For Dougie In Game 3 Against the Wings!! My son Mat and I decided late to go to the game. What a luxury here in Windsor, go on StubHub day of the game, pay $20 more than face value and you are in. What a great environment, the crowd was raucous and the show was pretty awesome with the flickering red light tubes. Crowd got pretty quiet soon though, we had great seats to see Dougie score his first ever Playoff Goal. Bruins looked great as they took Game 3, nice thing was Dougie scored the winning goal and was awarded "Player of the Game" honours from the team. Following the game got to take Mat down to meet Dougie, while we waited got to meet some of the dads. Was really cool talking with Kyle Krug, Kevin Marchand and Dobrivoje Lucic - all good guys loving their boys and the game they play. Kevin asked us who are you related to, actually we are here to see Dougie, I have a sports nutrition company Infinit, we fuel Dougie. 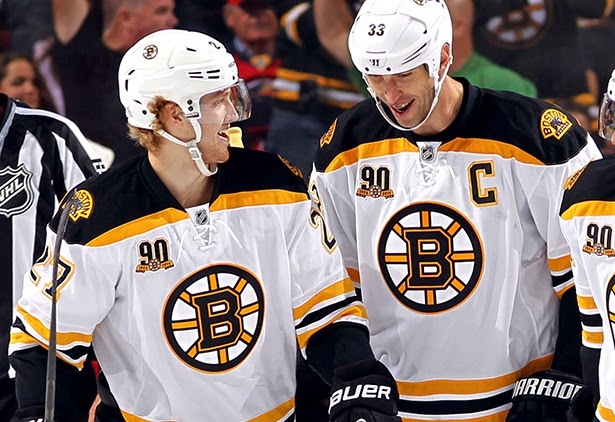 Kevin thought that was cool, especially the term you Fuel Dougie and wanted to learn more. When Dougie got out to see us he was smiles but down played his play, he did say it was a lot of fun though. Mat who is also 20, was really impressed how humble he is, he even took time to ask how things were going for us. Dougie impresses us at Infinit as much off the ice as he does on the ice, absolutely great character. 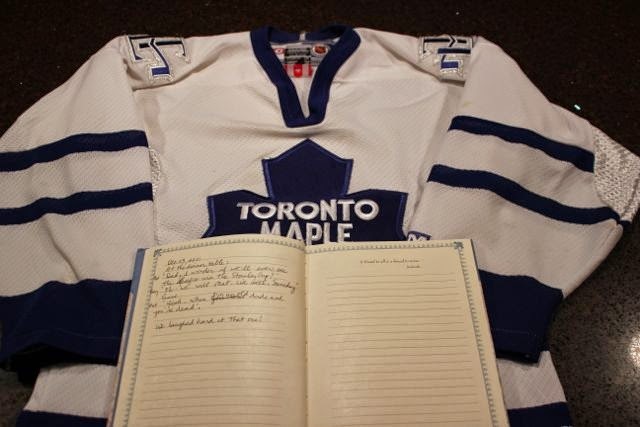 "Shanny" - Don't Let My Son Be Right, I Have To See The Leafs Win In My Lifetime! I never believed that my 8 year old's words could actually come true. 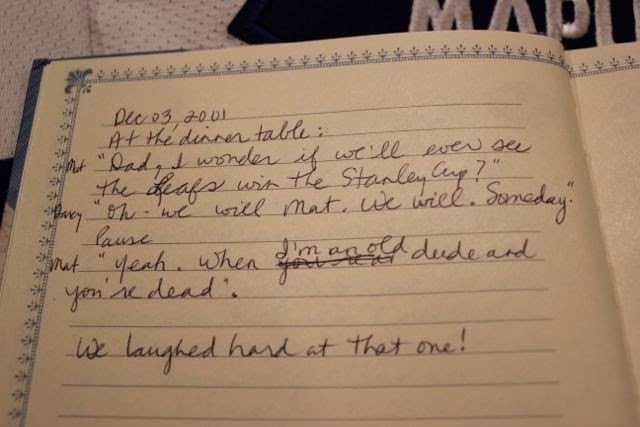 After more than 12 years since the quote was uttered, I have to admit I am starting to wonder if the kid is some sort of prophet. So Brendan - what I ask of you is to make my know-it-all 20-year old wrong - he can't be right about everything. I look forward to you instilling a new culture, a winning culture. I am not delusional. I still believe. Holding on to 1993 is getting a little old, and soon I will be described as the same. What Makes Ryan Cochrane The Best? Victoria for the Canadian Swim Trials. We have been partnered with Ryan since the end of 2013 and have been fuelling him since 2007. Was great finally meeting him in person, at the time he had a couple more races and then a couple of exams that would be his last step in getting his Psychology degree. 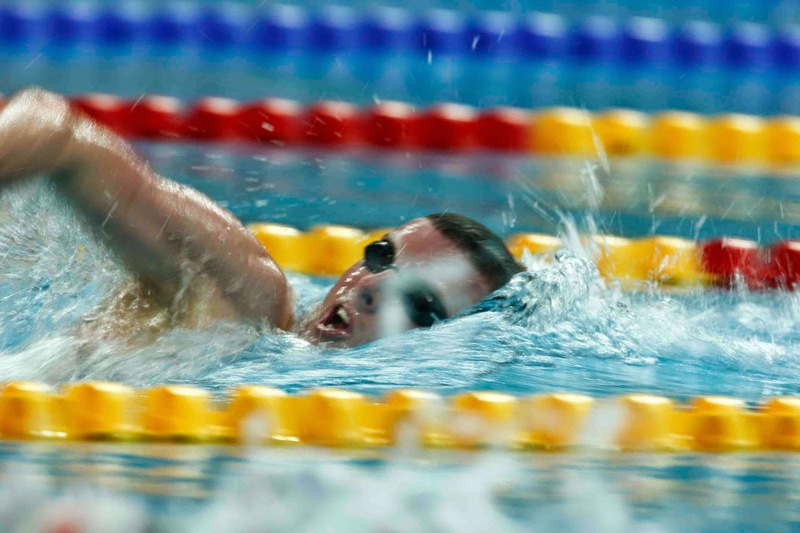 Ryan was the class of the field in the 200 m, 400 m and 1500 m free, winning gold in the 3 freestyle events. Find out how Ryan has risen to the top of the swimming world in the 1500 m free and his plans for the future. Can you imagine swimming 75 km a week, Ryan does it every week! 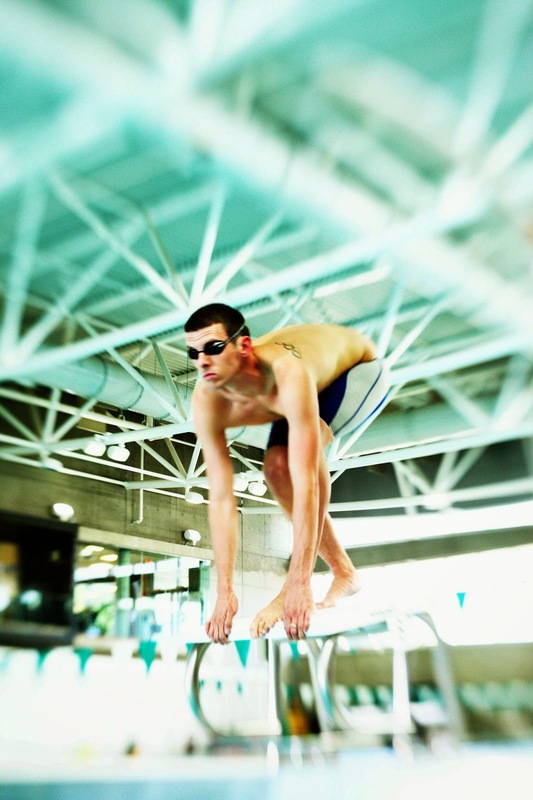 Infinit: Did you play or compete in any other sports prior to swimming? Ryan: As I was growing up I never really looked at swimming as a competitive sport. I played soccer and baseball for many years, and even tried track, a few triathlons and rowing in high school. I never excelled at any other sport, but kept with it because I love being active and part of a team environment. Infinit: When did you start swimming competitively? Ryan: At the age of 9, I began having knee and feet issues, and had issues with running. Most of the sports that my friends played involved some sort of running, and so it lead me to look at other sports to try. Luckily I found swimming and was hooked from the beginning. Infinit: When did you realize or did your swimming coach realize that you were highly competitive in the pool? Ryan: I’ve always been quite a competitive person. I have a twin brother named Devon, and he and I used to compete for everything. Whether it was in sports, at school, or even at home, we both developed a competitive drive at a young age. While I wasn’t a successful swimmer for many years, I loved training with my friends, and trying my best to meet the goals I set for myself. Many of my goals started at a local level, but I eventually made my first nationals cut at the age of 14, and my first national team at the age of 17. Infinit: How has swimming contributed to the person you are today? 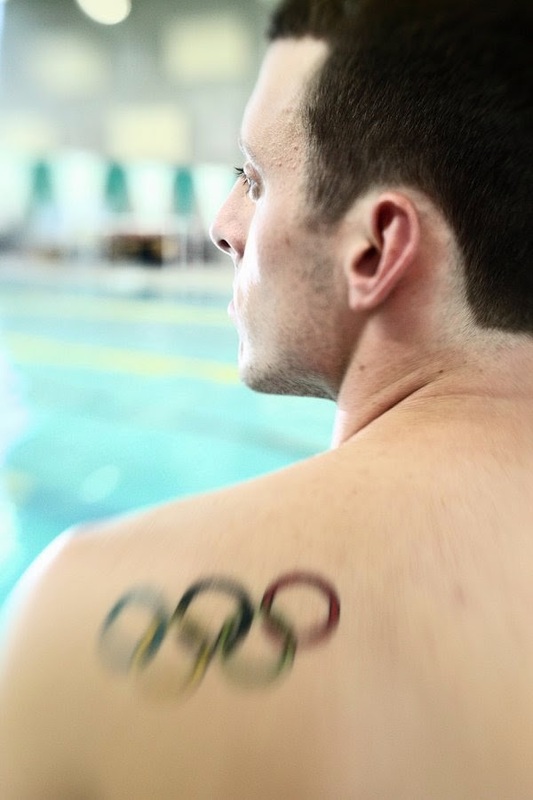 Ryan: I’ve learned many skills which I’ve taken from the pool and applied to my everyday life; I’ve learned how to be committed to long term goals (which could be as long as 4 or 8 years away), how to work my body to extremes, while never loosing site of my objectives, and how to time manage. I believe as an athlete, you have many talents that can help you each day. To be a great athlete, you have to be able to give some things up, and really focus for years at a time on a single goal. That is a skill that can be applied to anything in life. Infinit: You have been very successful competing at the top of the world in the 1500 m Free for the last 2 Olympic Cycles with Bronze and Silver, how to you stay motivated as you are nicely into the 2016 Rio cycle? Ryan: My ultimate goal has been the same since I was learning to swim at 9 years old: I want to be able to stand on the top of the Olympic podium and sing our anthem loud with pride. It is a goal which I can think about when training gets really exhausting, or when I think I can’t do a single meter more. That being said, it takes short term goals to keep you motivated as well, and I always have monthly goals along with yearly goals, that work as stepping stones to the next Olympics. I always want to represent Canada to the best of my ability each time I get a chance to step onto the blocks, and with that pride comes constant competitive drive. Infinit: Can you share with us what a typical week of swimming and dry land training looks like, amount of time and distance. Ryan: My weeks are all relatively the same, with Wednesdays and Sundays off for recovery. The rest of the week sees us in the water for 2 hours in the morning (with distances between 6-8 km), followed by 2.5 hours at night (6-9km), then either a weights workout or a dryland workout. We also tend to do about 45 min of core work prior to each practice. Infinit: Who have been some of the most influential people in your swimming career? Ryan: My coach Randy and I have been working together for about 13 years now, and he has therefore been the most influential person in my career. I also find my teammates to be extremely influential; without them I would have a really difficult time staying motivated and enjoying the process. A third group of influential people would be our support team (our nutritionists, physiotherapists, physiologists, etc), as they ensure we are the best athletes we can be. Virginia McLachlan Making Canada Proud!!! Infinit: Virginia, we know that you have been running since you were very young. What age did you start running, and what was it about running that you were attracted to? Virginia: I started running at the age 7. I started running for therapy and a way to help stretch out my muscles. After I started I fell in love with the competitive aspect and the fact that it is both physical and mental. Infinit: Did you compete or participate in other sports when you were young? Are there any other sports that you participate in today? Virginia: I don’t remember a time I was not in sports. I played soccer, baseball, I did tap, ballet, jazz, Irish step dancing then I fell in love with running and I have never turned back. I do not participate in any other sports but I am a huge sports fan. 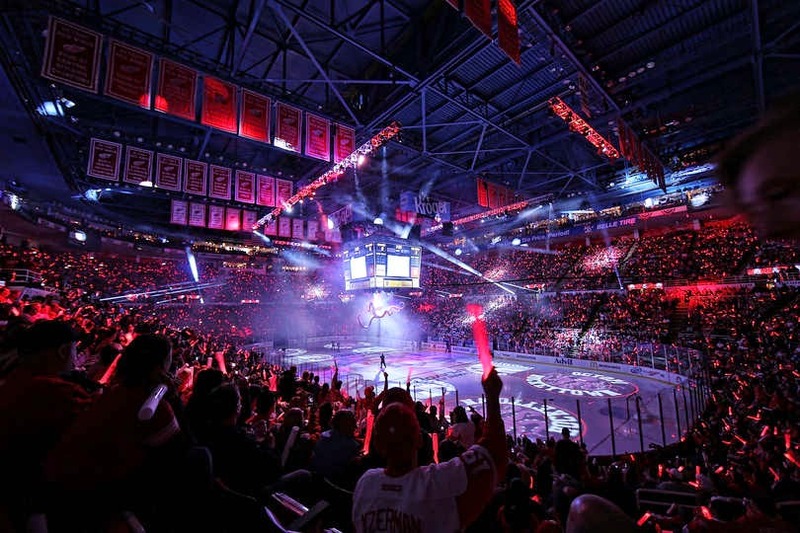 I am a huge Detroit Red Wings and Detroit Tigers fan. 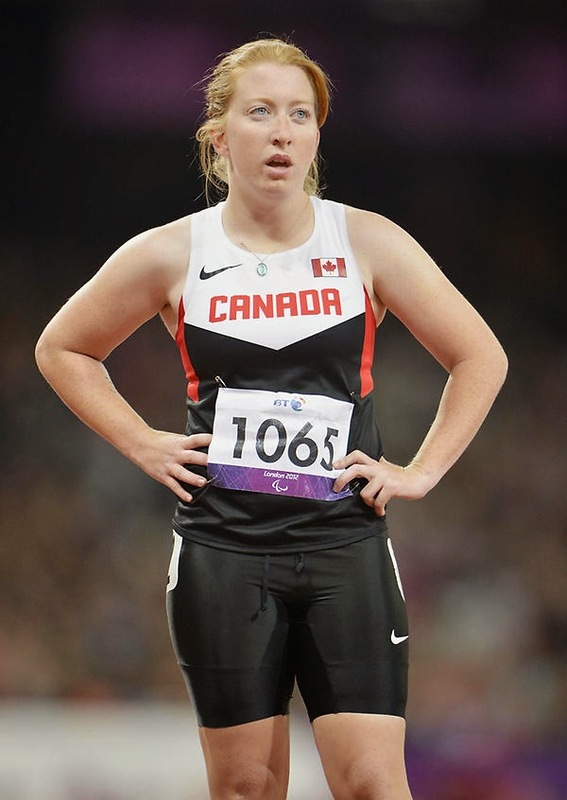 Infinit: We know that in 2012 you went to London for the Paralympic Games and won 2 bronze medals placing 3rd on the world in the T35 100 m and 200 m. When did you know or at least knew there was a possibility of representing Canada on the world stage? Virginia: The dream was always there. I found out July 1st 2012 that I was on the team. 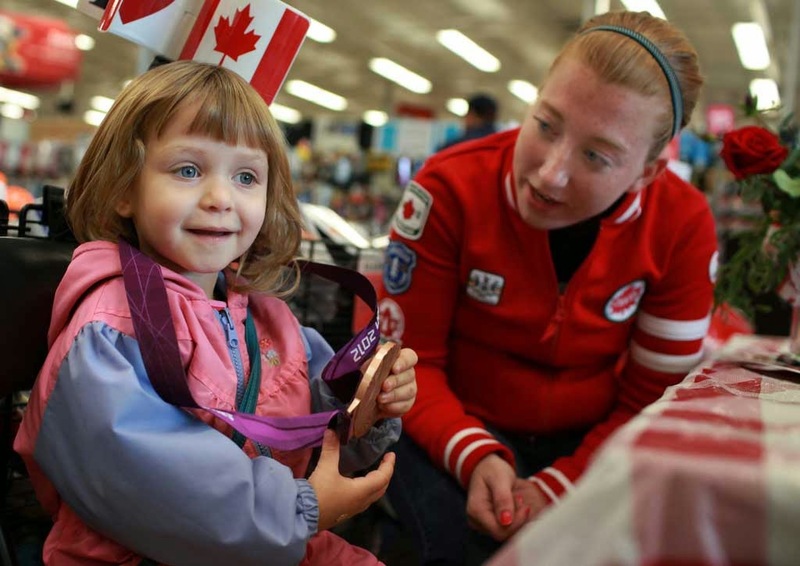 But I knew there was going to be a possibility when I won two silver medals at the 2011 Para Panam games in Mexico. Infinit: Would imagine that you have had some great support over the years to rise to the levels you have, who are some of the people that were most influential in your career to date? Virginia: First and for most my mother. With out here I would not be where I am today. She has been my biggest supporter and my number one fan through everything. 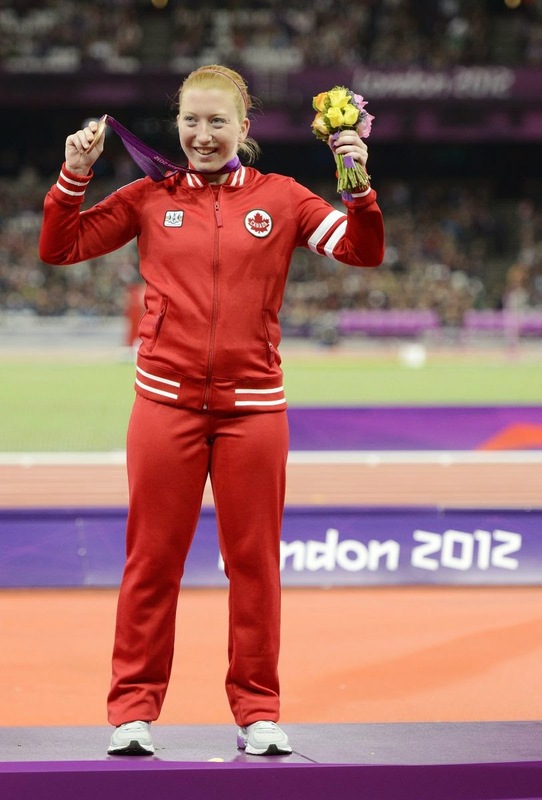 I also look up to a lot of the other athletes that I have had the honour of training with or sharing the track with. Jamie Adjety-Nelson has been one of my role models. Watching him compete and win at Common Wealth games was so cool! Being able to talk to him about sport and get advice from him has really helped a lot in my career. The Lancer track family has also been a big part with in the past two years of my career. Everyone is so supportive of each other. My family has also been a big support system as well. Infinit: What are some of the most memorable moments of the games in London? Virginia: There are so many! The one that sticks out the most was when I was running my 1st race of the games, the 200 m with about 80 m to go I realized I was in position to medal. This is the only part of the race I remember and I remember thinking to myself don’t get too excited yet you still have to finish the race and when I crossed the line and saw all my teammates sitting in the stands I still can’t even describe the audience. Calling my mom after my 1st medal was one of the best feelings in the world. Infinit: Can you explain how the classifications work, for instance what are the parameters associated with the T35 classification in which you compete. Virginia: Different disabilities have different classifications. Then from those classifications the different levels of abilities compete together. Being a T35 the 3 refers to Cerebral Palsy. Both of my legs and my left arm are affected. I run with girls who are similarly affected. 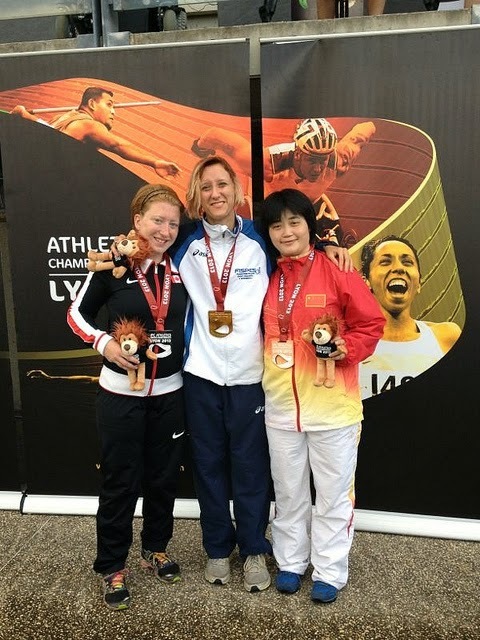 Infinit: Has competing in Paralympics affected the rest of your life, how so? Infinit: What are your immediate goals in 2014 and your goals through to Rio in 2016? Virginia: This year I am hopefully heading to Germany and Italy for the IPC grand Prix to compete with others in my classification. My goals are to also make the Canadian team for Para Panams that are in Toronto and the team for Worlds both in 2015. I really hope to make the team for Rio. I am hoping to be on the top of the podium in 2016. Infinit: What Infinit products have you been using, how have they helped your training? Virginia: I have been using my custom blend in lemon-lime, repair in fruit punch and raw protein. I love them all, it has all helped in my training a lot! I find my energy levels during the workout much higher, and I recover much faster from the tough work out. We are thrilled to be supporting such a great athlete - best of luck in 2014 as you take a step towards Rio in 2016. It has been almost 3 years since Dougie was drafted 9th overall. Happened to be at that draft in 2011, was with the Puempel family watching Matt be picked 24th overall - great experience to see it all first hand. We started fuelling the Hamilton brothers in 2009, Freddie is currently playing for Worcester Sharks, after seeing some action with the big team earlier in the season. It has been really cool watching the two brothers evolve, absolutely thrilled to have two such rounded individuals represent the Infinit brand. 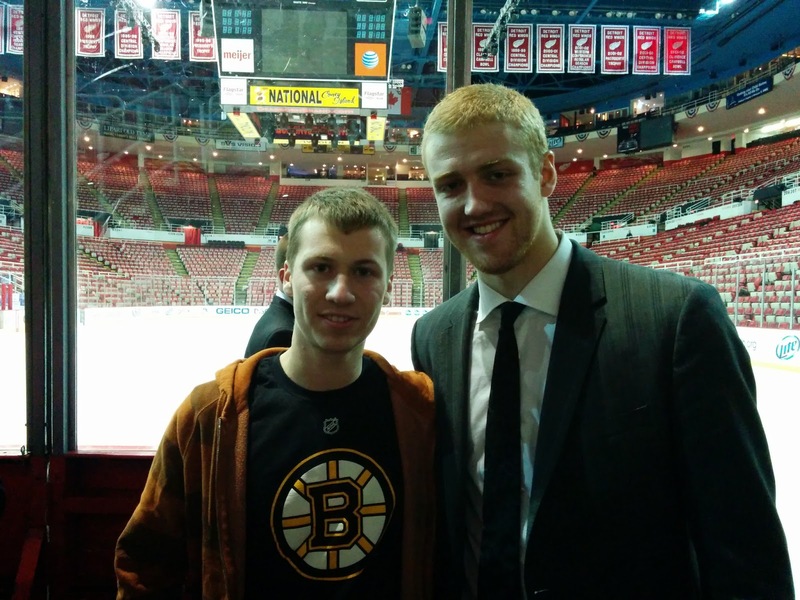 Encourage you to read a recent post from the Bruins' site: Dougie Hamilton's Confidence Continues to Grow. Shortly after reaching out and meeting the BadAssW.O.D.Wear Team(badasswodwear) Nanette and Manda, we connected with a group of elite CrossFit athletes, including Jolaine. Minutes into our first conversation back in November I was struck by Jolaine's energy and positive outlook. We were hoping that we could develop a partnership that would benefit all of us, it had build on the product first - would our approach to nutrition with tweaking from our CrossFit friends really hit the mark in this new space? Happy to say it is, we have learned a lot in the last 4 months and our products are supporting our athletes like they haven't been supported before. We wanted to get to know Jolaine more than we did and give you an idea where this top Canadian CrossFit athlete came from and what she has her eyes set on in 2014. Infinit: We know that you were competitive prior to CrossFit, can you give us a history of what sports? 1st place BCABBA Western Canadians Fitness Championship 2006, my first show. Infinit: What is it you love about CrossFit? Jolaine: This answer has changed over the last five years. At first it was the challenge to learn new skills and I loved being able to compare my times with other female athletes worldwide. After my first open, I meet the other competitors in Western Canada and was able to experience the incredible community. I couldn't believe how supportive and encouraging everyone was. This was refreshing as other sports I've been involved in are so political. Today I love CrossFit because I find it quite humbling. I've learned how to deal with failure which has helped me take more chances in life. I know that no matter how I preform I will learn from the experience and everything will be ok.
Infinit: What do you consider your biggest accomplishment to date in CrossFit? Jolaine: My biggest accomplishment in CrossFit as a competitor would be qualifying for the 2013 CrossFit games as a masters competitor and placing 4th worldwide. 2013 Regionals, was on fire and looking forward to compete but I had a bad flu bug and just watched. 2013 CrossFit games 4th place, so close to 3rd! Infinit: What are your goals for 2014? Jolaine: Qualify for 2014 CrossFit games and 2014 CrossFit Regionals Top 2 Podium finish at 2014 CrossFit regionals which will qualify me for the games. If I place 3rd at regionals then to qualify for the 2014 CrossFit Games masters 40-44years. Infinit: What was the most defining moment for you in CrossFit? Jolaine: The last workout of the 2013 games masters 40-44 years. I thought I was coming home with a bronze metal and I hit failure on the rope climbs. I was stuck on the last rope climb for approximately 8 min while other competitors were finishing. I had to decide, give up or fight. Some may have quit at that point but my true spirit was revealed, determined I gave the rope one last try and finished that last climb! The crowd cheered so loud! Every muscle in my body was failing as I made it around that track. When the time cap expired I immediately had a camera on me when all I wanted to do was cry. I held it together and gave the interview explaining that I gave everything that I had over the last three days. I failed in front of the whole world and it was some how ok? Infinit: How has CrossFit helped you and impacted you life? Jolaine: I'm a more confident person, mentally tougher and less afraid to take risks. I do not give up easily and I'm highly motivated to succeed. CrossFit is there for me no matter what life's struggles currently are. Infinit: When we first talked, what excited you most about Infinit and why did you want to use the products? Jolaine: I was intrigued about how Infinit could enhance my performance. I wanted to learn more about fueling my workouts and helping with recovery. What's most exciting is how Infinit products have improved my performance and aided in my recovery. Also you can customize Infinit's products specific to your sport or athletic needs. Infinit: How have I used the Infinit products? Jolaine: I use the X-Cite pre-workout/workout blend, before every workout. I'll mix up a shake and start sipping it as I warm up. If the session is a couple hours, I'll keep sipping it throughout the session. If it's a conditioning workout I'll consume it before hand. I immediately have a recovery shake post wod (workout of the day). Infinit: Have the Infinit products help your training and recovery? Jolaine: Infinit products have given me the energy I need to preform at a high intensity. I've set several personal records since using them. I love the recovery blend which helps me recuperate so I can train hard during my next session. At the time of posting this entry, Jolaine was atop the leaderboard in Canada West after two events. We will continue to provide updates on Jolaine as the open continues, we are happy to be fuelling the 2014 goals she has set.